Task: to create a website for a software company. 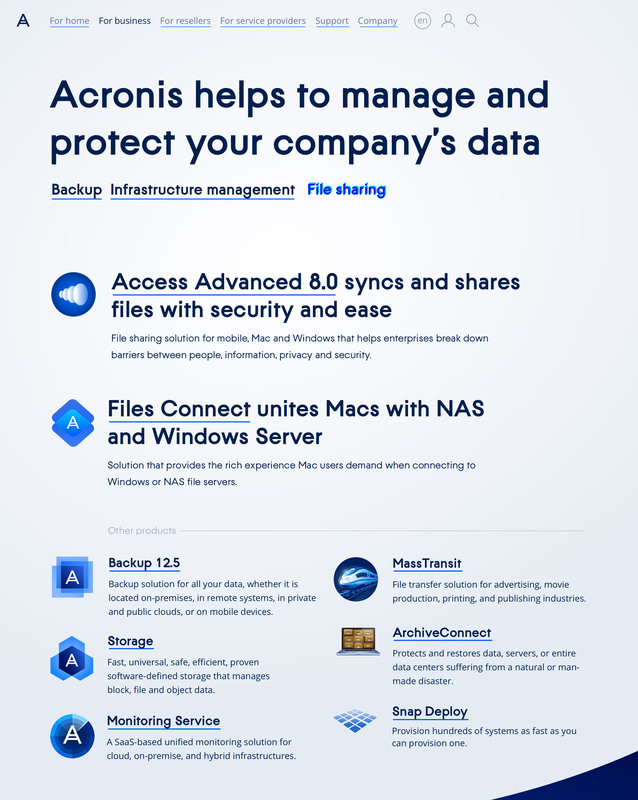 The Swiss-Singaporean company Acronis produces various backup programs and secure file sharing solutions for big businesses and ordinary people. 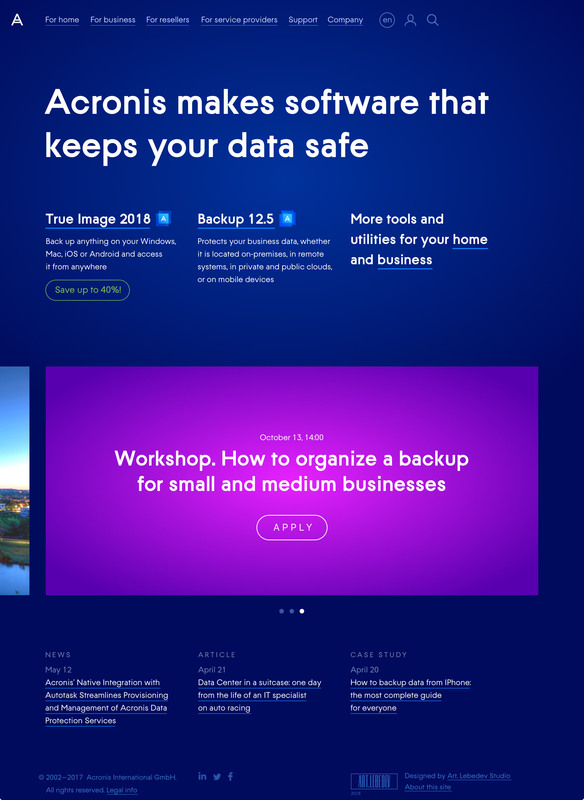 Templates for a website which provides clear and detailed information about Acronis’ products and has an online store were designed at the studio. 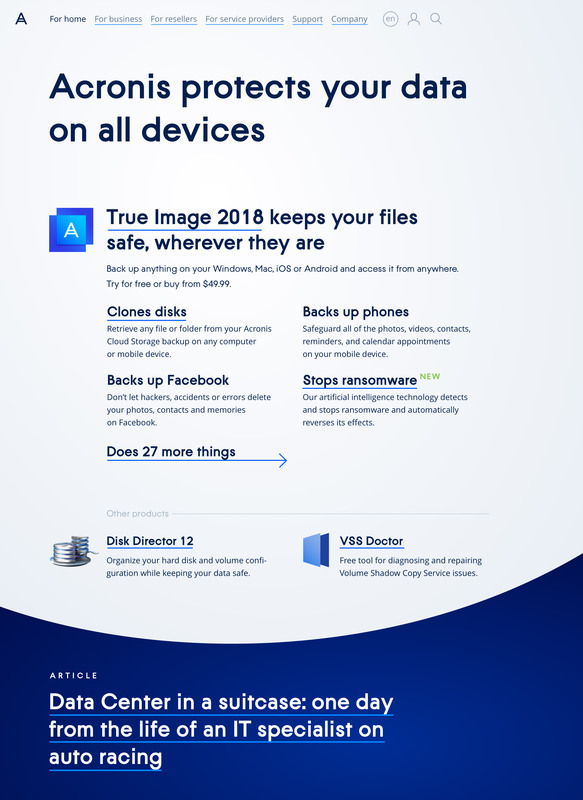 Both backup and file sharing are ultimately forms of file copying, which is the design is based on a graphic metaphor of duplication. In the crazy modern world there is always a possibility of losing everything at the worst possible moment. 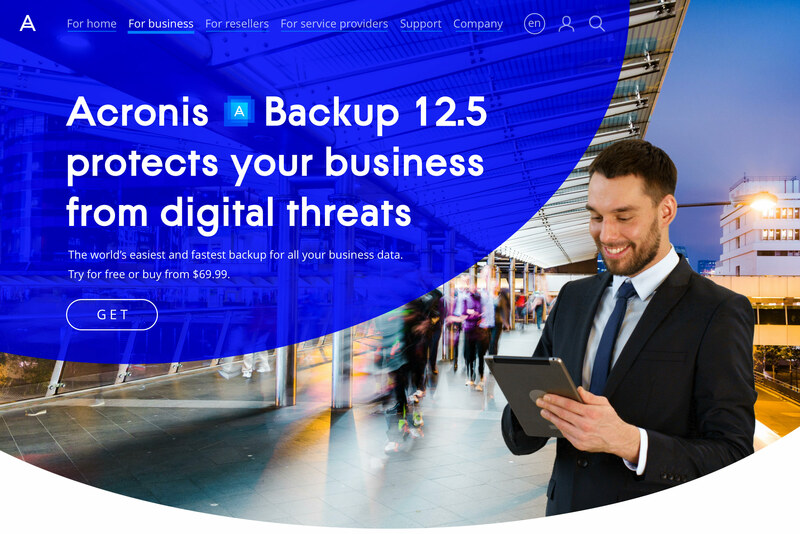 Backup software allows to “undo everything” which is why the second graphic metaphor are timelapses, sped-up video clips where people quickly run, drive and hurry somewhere. 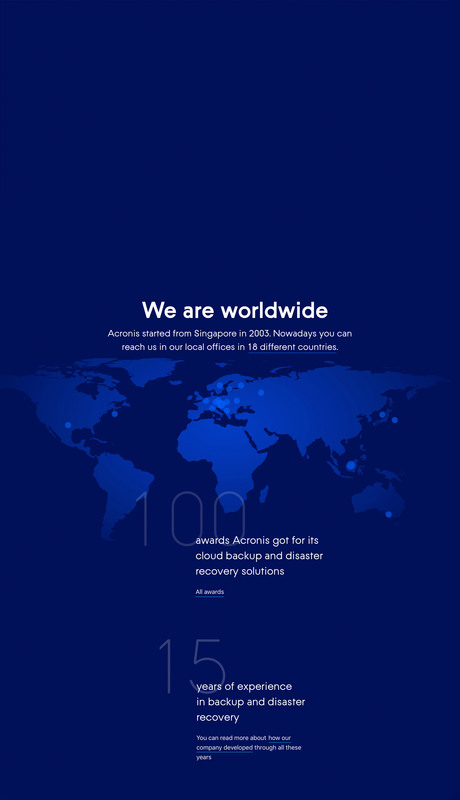 Acronis is an island of stability in the rapidly changing present. The cover of each product has its own timelapse reflecting the purpose of the software. 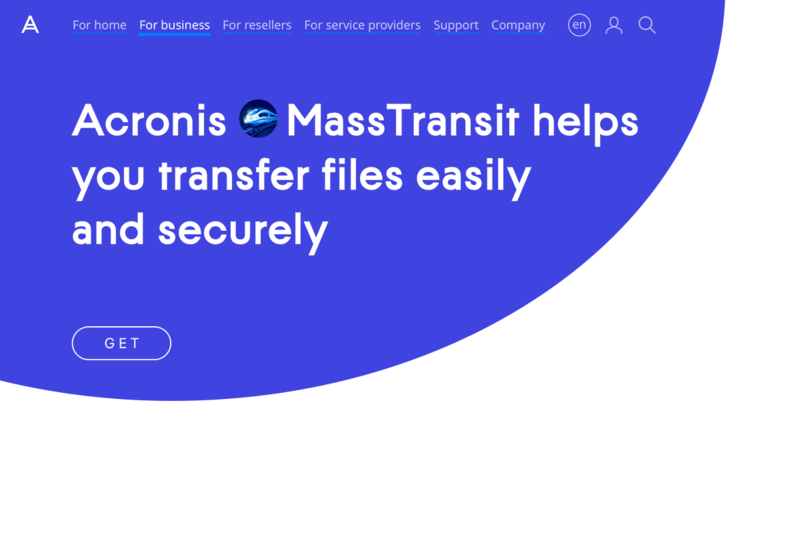 A program that makes transferring files from a PC to a Mac is represented by a bridge and a cloud backup solution is shown as a cloud over a city. 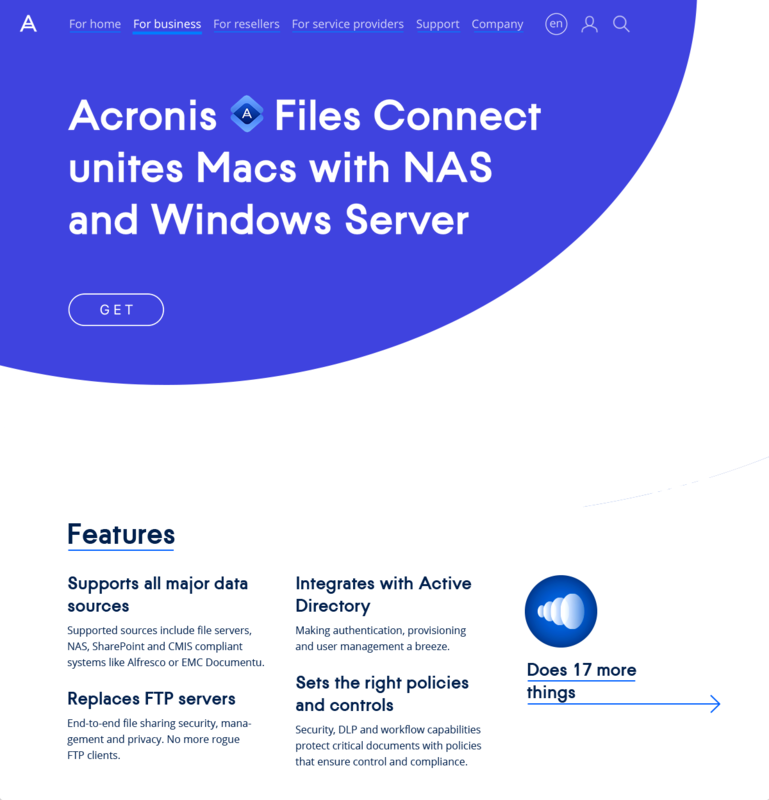 Acronis’ signature blue overlay remains stable and permanent. Timelapse is the most striking on the flagship product page: a person is standing relaxed against a background of a rushing city. 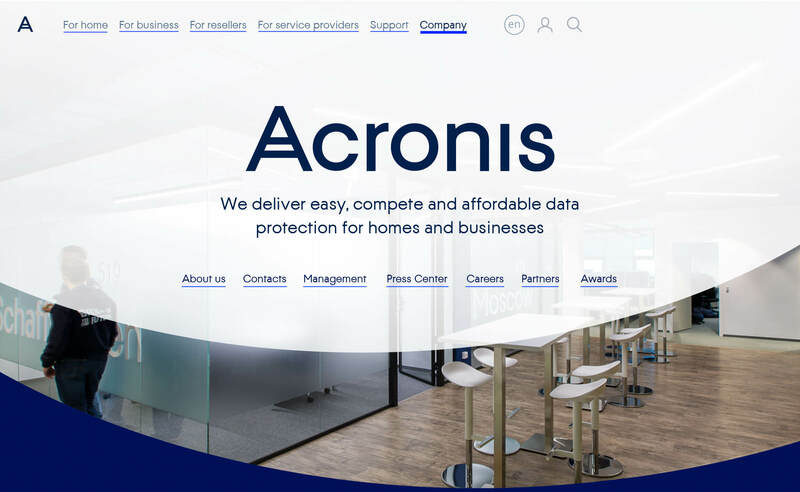 He has no reason to hurry because his data is safe with Acronis. 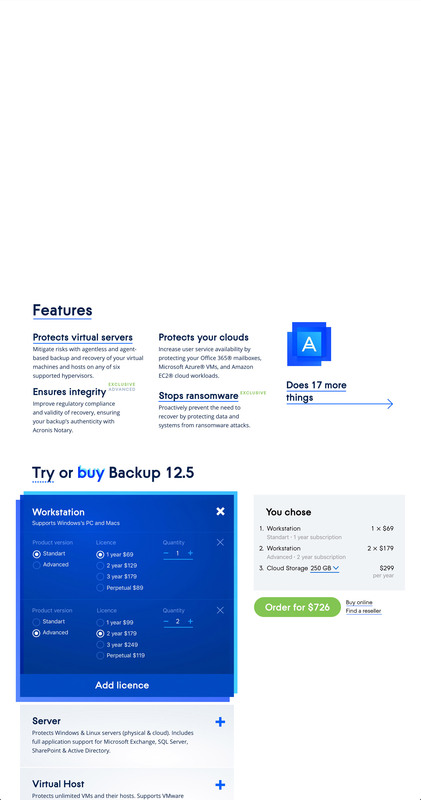 Acronis’ programs have a variety of versions with different types of licenses that depend on the operating system, number of computers and other factors. Clearly structured and consistently presented information makes purchasing software simple and convenient. 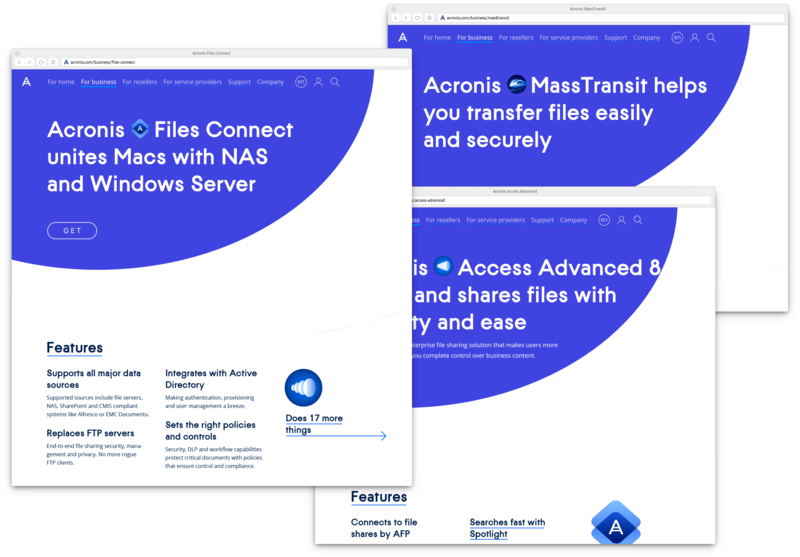 Special pages help navigate the variety of Acronis products. Some of them are designed for businesses, others for private users, and both may have overlapping functionality. In each category, the most relevant products are always shown at the top while other similar programs are shown at the bottom. Titles also help understand the purpose of the software: they don’t just provide the name of the program but also explain its function. 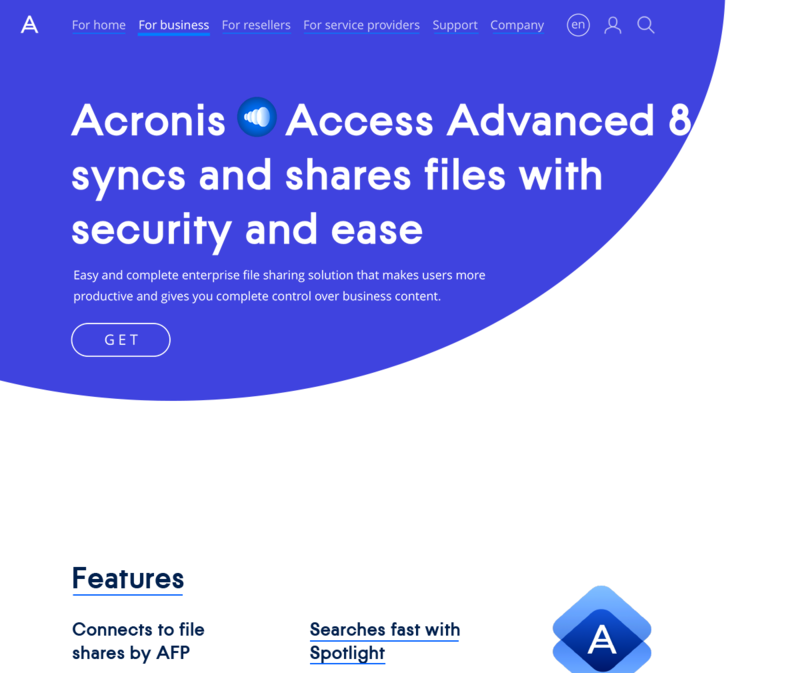 The main page shows what the company is working on right now: publishing new products, conducting important conferences, providing incredible discounts. All of this is conveyed through banners.